For a donation of $35 (or more! ), you will receive a calendar mailed directly to you! A perfect gift for the holidays. 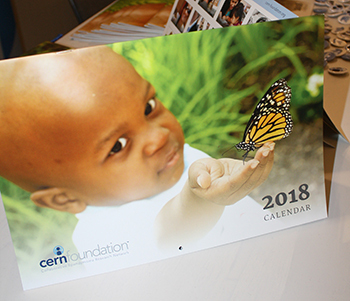 Profits raised from this calendar will help us to continue to provide awareness and education programs to the ependymoma community. Thank you again for your support. For questions, e-mail us at administrator@cern-foundation.org.